It is probably not a very big secret that Mr P is one of the most important figures of my musical life. 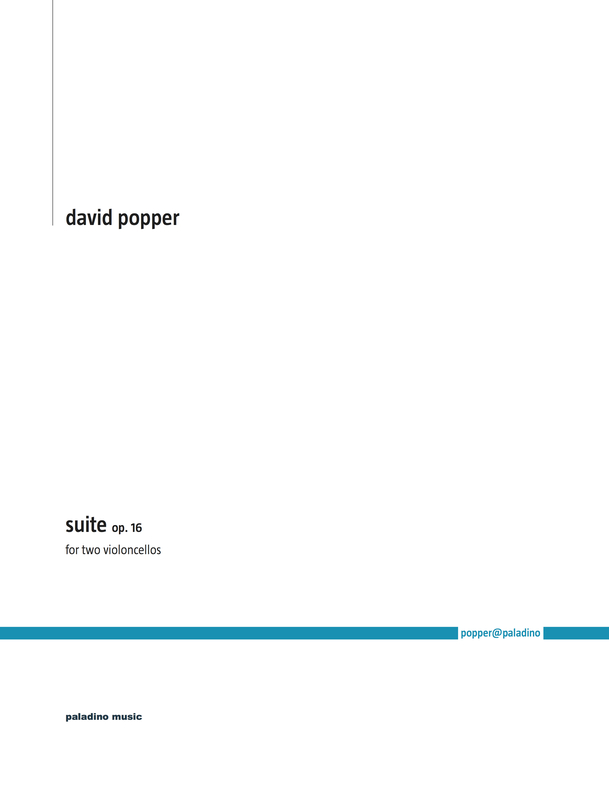 In 2012, my dear friend Alexander Hülshoff and I embarked on a big journey together: we aim to record and publish all of Popper's known music. We have played the Suite op. 16 together at various festivals for nearly a decade now, and there is a live recording and of course our studio recording from two years ago. The two editions of op. 16 (this one and Alex' one of Popper's version of the piece for cello and piano) are the first publications in the popper@paladino series. Ad multos annos!